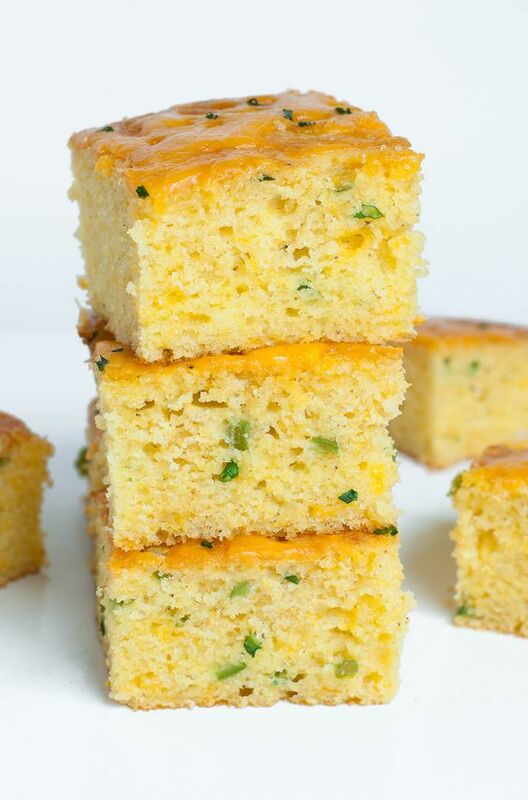 Fantastically fluffy Jalapeño Cheddar Cornbread FTW! This crazy good cornbread gets a leg up from two classic mix-ins: ooey gooey cheddar cheese and fiery jalapeño. The result is a kiss of heat blanketed by cheesy cornbread goodness.